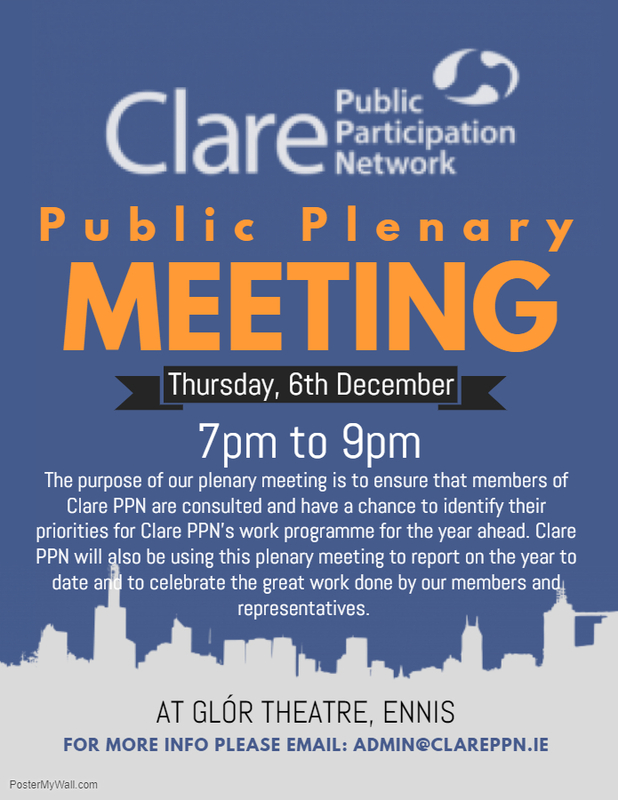 All member groups are invited to attend Clare PPN’s second plenary meeting of 2018. The event is also open to the general public and for anyone who wants to learn more about Clare PPN. The purpose of our plenary meeting is to ensure that members of Clare PPN are consulted and have a chance to identify their priorities for Clare PPN’s work programme for the year ahead. Clare PPN will also be using this plenary meeting to report on the year to date and to celebrate the great work done by our members and representatives. We would love to see as many groups as possible taking the time to attend our plenary meeting.